Bite by kilometer-size bite, China is eating away at India’s Himalayan borderlands. For decades, Asia’s two giants have fought a bulletless war for territory along their high-altitude border. Recently, though, China has become more assertive, underscoring the need for a new Indian containment strategy. On average, China launches one stealth incursion into India every 24 hours. Kiren Rijiju, India’s Minister of State for Home Affairs, says the People’s Liberation Army is actively intruding into vacant border space with the objective of occupying it. And according to a former top official with India’s Intelligence Bureau, India has lost nearly 2,000 square kilometers to PLA encroachments over the last decade. The strategy underlying China’s actions is more remarkable than their scope. On land, like at sea, China uses civilian resources – herders, farmers, and grazers – as the tip of the spear. Once civilians settle on contested land, army troops gain control of the disputed area, paving the way for the establishment of more permanent encampments or observation posts. Similarly, in the South China Sea, China’s naval forces follow fishermen to carve out space for the reclamation of rocks or reefs. In both theaters, China has deployed no missiles, drones, or bullets to advance its objectives. Djibouti's strategic position on the Bab el-Mandeb strait allows the country to rent some of its territory to foreign military bases. Given its relative lack of natural resources and human capital, Djibouti's leaders will be pressed to open the country to international powers if they want it to develop. China remains the sole long-term strategic partner for Djibouti as trade competition intensifies across the region. The tiny East African country of Djibouti has learned how to make money off its location. On June 27, Djibouti will celebrate the 40th anniversary of its independence, and it has experienced profound change since it was called first French Somalia, then the French Territory of Afars and the Issas. After its independence from France, Djibouti grappled with internal ethnic cleavages and a volatile region. 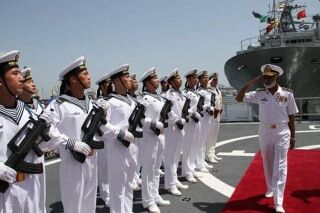 But the secret to Djibouti's continued global importance and its success in recent decades lies in its strategic position on the Bab el-Mandeb strait and its status as the lone maritime entry and exit point for its dynamic neighbor, Ethiopia. The rise of maritime trade and, most critically, the completion of the Suez Canal in 1869 drove European powers to seek strategic bases along the banks of the Red Sea and the Gulf of Aden. The British, already implanted in the port of Aden by 1839, began to expand the scope of their possessions in the area. France, on the other hand, was slower to join the scramble for territory, despite previously gaining some limited concessions in the Gulf of Tadjoura, bordered mostly by present-day Djibouti. Instead, it was the French Empire's strategic imperatives in the Far East and Southeast Asia — namely, Indochina — that propelled an intensified French push in the Horn of Africa. The start of the Tonkin War in 1884 and the United Kingdom's refusal to allow the French navy to refuel in its ports, including Aden, compelled France to re-examine its positioning in the broader Indian Ocean. Soon France attached a much greater importance to its small possession in the Gulf of Tadjoura, both for its strategic location and the access it gave France to the natural resources of Ethiopia (then known as Abyssinia). When Donald Trump’s secretary of defense, James Mattis, was called before the Senate Armed Services Committee this week to testify about the conflict in Afghanistan, he was unusually blunt: “We are not winning in Afghanistan right now,” he said. The Taliban have been on a dramatic offensive, he acknowledged, the security situation continues to deteriorate, and the Afghan government holds considerably less territory than it did a year ago. In other words, prospects for any sort of positive outcome are as remote as they have been in this sixteen-year war—the longest war in American history. Yet Trump—and Mattis’s—solution to this unwinnable war seems to be once again to send more troops. On Tuesday, Trump announced that the military itself would be given full authority to decide how many troops it needs. (By leaving all decisions in the hands of the military, he has abandoned the usual inter-agency consultations, especially with the State Department.) And Mattis is talking about a review to be completed in July that could add as many as 5,000 troops. It may be too late. Afghanistan now faces a far deeper crisis than many seem to understand. Warlords and politicians—including cabinet members—are calling for the resignation of President Ashraf Ghani and his security ministers, accusing them of incompetence, arrogance, and stirring up ethnic hatred. There are as many as ten public demonstrations a day in the streets of Kabul, carried out by young people and by relatives of those killed in recent bomb attacks. When Ye Shaoyong, a prominent Chinese Sanskrit scholar, first came across the old yellowed palm leaves from Drepung, one of Tibet's most important monasteries, he was intrigued by the letters on the page. The 14 palm leaves he found bore ancient writing, older than anything that the Sanskrit professor from Peking University had ever seen. That day in 2003, Ye stumbled upon one of the oldest undiscovered Sanskrit texts from India-a 2nd century text, the Mulamadhyamakakarika, one of the founding texts of Mahayana Buddhism that had, until Ye's discovery, only ever been seen referenced in quotations in later commentaries. Chinese scholars say this rare palm leaf is among hundreds-possibly thousands-that still lie in Tibet's monasteries, carrying a trove of more than thousand-year-old information about Indian philosophical thought and history, from between the 2nd and 14th centuries. Ye spent a decade painstakingly translating the old manuscript, which was finally published four years ago and is among the first from this forgotten treasure to be made public. "Tibet might be the last treasure of Sanskrit manuscripts which has not yet been fully investigated," he wrote in his book. "Nonetheless," he lamented, "they are still gathering dust on the shelves of monasteries or in the drawers of museums." The world stands on the cusp of a great technological and political shift. Radical shifts in production technology and processes are rendering the old global value-chains redundant and competitiveness is being re-defined. The post-World War II global institutional consensus and strategic alignments are shifting as the power-centers in western Europe and North America seek to contain the gains from liberalization even while dealing with increasing demands of protectionism from large sections of their population. The rise of India and China has led to intense competition for energy and resource security, and various tools of economic diplomacy are being used to create dedicated corridors to secure such resources. With the largest single cohort of young people in the world, which represent both a resource and a challenge, India finds itself at a crucial juncture in its growth trajectory. India needs a strong policy road map for its economic and geostrategic priorities in order to be able to harness the creative energy of its massive working age population and emerge as a global power. While these challenges raise the bar for India’s economic diplomacy abilities, the question remains whether India’s economic diplomacy establishment is ready to up its game. The old 20th century ways of engagement are increasingly ineffective. The focus is increasingly on execution over atmospherics, and on specifics supported by domain knowledge over generalities. This is definitely a concern from India’s traditional economic diplomacy establishment, primarily led by the Ministries of External Affairs (MEA) and Ministry of Commerce and Industry (MOCI), which while already being relatively under-staffed, compared to other major economies, allow little time for its key officers to spend enough time on a specific desk and develop domain knowledge. The systems for retaining and using institutional knowledge within these ministries are also quite weak. PRIME MINISTER NARENDRA Modi should have pondered the perils of visiting Washington this early in Donald J Trump’s presidency. It will do him and the country no good, especially if Trump chooses to turn it into a staged affair of yet another third-world leader paying him obeisance. At a time when the US president is distracted by numerous investigations of Russia’s role in tilting the 2016 US presidential election his way, Modi may find the unpredictable Trump in a funk, or in a flinty mood. Trump, unlike Barack Obama, is not a liberal internationalist. As an impulsive isolationist with a sharply constricted view of America’s role in the world but gifted with a keen eye for promoting his profitable family businesses worldwide, Modi may get the US president’s attention if he talks of Trump Towers mushrooming all over the Indian urban landscape. No, really! Even as he is supposedly running the US government, the president, on the side, has just firmed up plans for a chain of more affordable Trump hotels across the United States. Trump may be vocabulary- challenged but is far from dimwitted. He is pursuing his three- point agenda of more jobs for Americans, more trade for America, and of getting freeloaders—assorted NATO and other allies and strategic and trade partners—to pay up for the security afforded them by far-flung US military forces. It follows that Trump believes in ‘free trade’ and ‘free trade agreements’, but only if these are partial to America. This is a roundabout way of saying Trump doesn’t give a damn for India (or any other foreign country for that matter). If Modi thinks he can cash in once again on that clichéd rhetoric of shared liberal values, democratic freedoms, et cetera, he had better do a rethink, lest the airing of such sentiments lead Trump to first delay their meeting and then cut their eventual discussion short, as he did with Australian Prime Minister Malcolm Turnbull in early May when the latter brought up the subject of refugee intake. Some of Trump’s best friends are dictators and the regimes he is most comfortable dealing with are autocratic. Ask Chinese President Xi Jinping. Or, better still, Russian President Vladimir Putin. India and Modi lose out on both these counts—unless, who knows, Trump takes a liking to the strongman in Modi. June 12, 2017: The recent terror bombings in Kabul were explicitly denied by Haqqani Network and the Afghan Taliban. Actually both these organizations are now run by the head of the Haqqani Network, which remains a “protected (from attack by Pakistani security forces)” group in Pakistan. Nevertheless the Haqqani Network has been avoiding attacks that kill a lot of civilians and concentrating on the security forces and especially specific commanders. The Afghan Taliban has been ordered to follow the same fuels but observance has been spotty. The usual suspect in large scale attacks, ISIL (Islamic State in Iraq and the Levant) has not claimed credit. While Afghan security forces are blamed for not preventing this attack, the Afghan intel and police investigators have become quite good and with American intel back in force it is usually possible to identify who carried out a specific attack based on debris at the scene and the growing informant network and databases the Afghans have created. The Afghan police have already admitted they knew of Haqqani plans for a Kabul attack in late May but underestimated the size of it. The major sponsor of most attacks in cities is not the Taliban but ISIL or Haqqani Network and continued that is made possible with support from the Pakistani military. That means Haqqani has less trouble obtaining explosives and safe areas in Pakistan where staff for bombing missions can be trained and indoctrinated. ISIL does it for their own reasons while Haqqani does it because that is how they continue to enjoy a sanctuary in Pakistan. The government of Pakistan insists Haqqani has moved to Afghanistan but American and Afghan intelligence efforts keep picking up evidence that leads back to Pakistan. This includes dead, or captured, suicide bombers who turn out to be Pakistanis or Afghans who received training in Pakistan and captive ones casually note that the military and police there left them alone. Nepal’s conflict and peacebuilding process positioned the historical marginalisation of indigenous, ethnic minority, and other identity groups at the centre of the political agenda and saw these communities mobilise in unprecedented ways. While Nepal’s peace and constitutional processes involved a range of commitments to address historical marginalisation and build a more inclusive state, so far these commitments have not been met. The resulting disillusionment and anger among indigenous and ethnic groups could threaten the country’s stability, and addressing this issue must be a priority for Nepal’s political leaders and international donors. the state defined particular, restrictive ways of being Nepali to create a nation in the image of its “upper- caste” Hindu, Nepali-speaking ruling groups. An aspirational Nepali identity has been aggressively promoted through the Nepali language, and acceptance of the supremacy of the Hindu religion. Although the summer heat may not feel like the season for giving, I assure you that it is. This time each year the U.S. Congress starts building the budget for the next fiscal year. During this time the Military Services send to Congress their “list of additional requirements”. It is much like a child sending his/her “Christmas list” to Santa—hoping he brings the toys he/she wants. At times, the Department of Defense has told the Services to not send their requests to Congress, directing them instead to just say they support the President’s Budget. Even at these times, Congress ends up receiving the detailed lists from the Services – the “unofficial” requests always seem to make their way to the Hill. For the fiscal year 2019 budget build it does not appear that the Department of Defense has attempted to restrict the Services. This is a good thing. To be frank, the Services should be encouraged to ALWAYS render the actual requirement to Congress. The reality is that there is a finite amount of resources, and, based on Article 1 of the U.S. Constitution, the decisions about what to fund in the U.S. military falls to the U.S. Congress. No administration should ever consider it disloyal for a Service Chief or senior leader to state what they believe to be the true requirement. And yes, requirements do change based on evolving threats, and we have to evolve with those threats if we want to defend the nation and protect our global interests. We should want our senior leaders to provide candid and professional assessments, regardless of the political climate. You may be aware that the Syria War entered a new stage in the past week or so. Things are looking up for the combined forces of the Syrian Army, with assistance from the Russian armed forces and also Hezbollah. Syrian tanks made a Rommel-like “lightning move” eastward all the way to the Iraqi border, cutting off ISIS/Daesh units from their Iraqi supplies. While this was going on, the pro-American so-called “coalition forces” entered Raqqa. Like the wiki says, Raqqa, a strategic Syrian city located on the Northeast bank of the Euphrates River, was captured by ISIS in 2013 and became the capital of their Islamic State. The Headchoppers had their day in the sun, but now their time is almost up. It’s not an issue of “if”, but of “when” and “who”. And the race is on: the Americans seeking to gain some advantage and carve up the Syrian carcass to their own advantage. On the other side: the Syrian government and their Russian allies seeking to keep Syria together in one piece, while making some internal adjustments to benefit, for example, the Kurds. The Syrian Opposition, with the assistance of the U.S., hastily entered Raqqa, the capital of ISIS, in an attempt to overtake the pro-government Syrian forces. For the Americans it is a matter of principle to overtake Assad’s forces and to not allow the Shiites to gain control over the borders of the Syrian Arab Republic. The question now is: Will they succeed? It is not excluded that the Americans will find an unpleasant surprise waiting for them. Although the first Indian vessel, which set out from the country’s Kandla port, has already berthed at Iran’s Chabahar port, Indians have not worked fast enough to develop the Iranian oceanic port. China, which is now focused on developing Pakistan’s Gwadar port, also has an eye on Chabahar and Iran’s presence in Beijing’s “One Belt and One Road” initiative. Japan is another serious actor, who is openly interested in taking part in development of Chabahar. The question is which one of these three countries will be of priority to Iran for cooperation in development of Chabahar port and the country’s eastern rail routes? One year after Indian Prime Minister Narendra Modi visited Iran and signed a “historic” deal for development of Iran’s Chabahar port, he paid a visit to Gujarat province saying that Iran and India would soon be connected through a marine route from Kandla to Chabahar. A few days later, the first container ship, which had set out from Kandla in India, berthed at Shahid Kalantari port of Chabahar. However, the outlook delineated in past years for development of Chabahar and a transport corridor from Chabahar to Afghanistan, Central Asia, Caucasus, Russia and Europe, as part of the North-South Transportation Corridor, goes far beyond this historic and symbolic development. Over the past two years, Venezuela has sunk into a deep economic crisis brought on by a decline in oil prices, and its reverberating effects have left the country's ruling party desperate. In an environment where regular protests and widespread disapproval have become the norm, President Nicolas Maduro's administration is clinging to power despite the increasing likelihood that it will lose the next presidential election. Now, the United Socialist Party of Venezuela (PSUV) has begun coalescing into opposing factions, and how its struggle plays out will determine just how long the administration is able to protect its rule. For the president and his inner circle, losing control of the country could mean being jailed by an opposition government or even being extradited to the United States on criminal charges. To prevent this, Maduro and his allies, including influential PSUV power broker Diosdado Cabello and Vice President Tareck El Aissami, have called for a constitutional assembly to rewrite the constitution. The move could allow the government to rework elements of the country's electoral law and perhaps delay the next presidential race, cementing Maduro's position in power in the process. But segments of the administration are already thinking about a future without Maduro. A faction of the PSUV that includes Attorney General Luisa Ortega has emerged hoping to block Maduro's attempts at firming up his political position. Over the past three months, Ortega has consistently opposed the Maduro administration's actions, including its attempt to dissolve congress in March and its use of military courts to try civilian protesters. More recently, Ortega also attempted — albeit unsuccessfully — to get the Supreme Court to halt the constitutional assembly. In her fight against the president, Ortega is joined by former Cabinet ministers, retired military officers, district attorneys and retired and active law enforcement officials. Warning signs abound that the carrier may not actually be too big to sink. Loss of a carrier could be the U.S. Navy’s Black Swan—an event that seems unlikely but occurs with massive consequences that appear obvious in hindsight. 1 Nassim Nicholas Taleb says these events are characterized by “rarity, extreme impact, and retrospective (though not prospective) predictability.” 2 Today’s carrier-centric operations could easily fit this mold. The CIA has been hacking home, office and public wireless routers for years in an effort to carry out clandestine surveillance, according to classified documents seen by CNET sister site ZDNet. The intelligence agency had by mid-2012 developed implants “for roughly 25 different devices from 10 different manufacturers,” including Asus, Belkin, D-Link, Linksys and Netgear, according to one document. The trove of documents, part of an ongoing series of leaks released by the website WikiLeaks, could not be immediately verified. But they detail several hacking tool suites, which could allow the agency to conduct targeted exploitation of networks and computers, ZDNet reported. WikiLeaks, the organization notorious for leaking highly secure government data, published a cache of documents in March that reportedly exposes tactics the CIA uses to hack into our devices. The leak suggested that the CIA may be equipped with a variety of tools that let it hack into your phone, smart TV, computer and router. The CIA didn’t immediately respond to a request for comment. June 11, 2017: In May 2017 the United States revealed that it had sent one of its few cyber protection teams to defend the THAAD (Terminal High Altitude AreaDefense) battery sent to South Korea earlier and declared operational in April. This anti-missile unit is considered a major target for hackers. Each THAAD battery consists of two or more launcher vehicles (each with eight missiles stored in canisters they are fired from), a fire control and communications system and a TPY-2 X-Band radar (or equivalent radar or radars). THAAD missiles weigh 836 kg (1,400 pounds) and are about the same size as the Patriot anti-aircraft missile and have a range of 200 kilometers and max altitude is 150 kilometers. THAAD is intended for stopping short (like SCUD) or medium range (up to 2,000 kilometer) range ballistic missiles. To work properly the battery depends a lot of networks for quickly transmitting target and other data. Since China, Russia and North Korea all have excellent network hacking capabilities and have been hostile to the stationing of a THAAD battery in South Korea, it was expected that the THAAD networks would be subject to penetration and disruption attempts by foreign hackers. The 2016 U.S. election constituted a watershed for democracies in the digital age. During the election cycle, fears proliferated among policymakers and the public that foreign actors could exploit cyber technologies [PDF] to tamper with voter registration, access voting machines, manipulate storage and transmission of results, and influence election outcomes. Russian information operations and disinformation on social media compounded these fears about election cybersecurity by raising questions about foreign interference with the election’s integrity. Similar worries have arisen with elections this year in France, Britain, and Germany, and the Netherlands opted to hand count ballots in its March election to prevent hacking from affecting the outcome. In May 3 testimony to the Senate Judiciary Committee, James B. Comey, former director of the Federal Bureau of Investigation, indicated that Russia had tried to tamper with vote counts in other countries and that it might attempt to do the same in the United States in the future. Technical strategies [PDF] to protect election systems from cyber interference exist, such as stopping the use of voting machines connected by wireless networks and deploying machines that produce auditable paper trails. However, the events of 2016 demonstrate that more high-level political action is required to manage real and perceived cyber vulnerabilities in election systems. Government officials and nongovernmental organizations that support elections should adopt measures to protect election systems from online threats, deter cyber interference with such systems, and reassure citizens their right to vote is defended. Achieving these objectives requires local, national, and international actions to strengthen cybersecurity in election systems and to elevate election integrity in cybersecurity policies, human rights activities, and election assistance and monitoring. Army National Guard soldiers will soon be able to provide first responders with network and phone communications to keep them operational when local infrastructures stop working after a disaster, Army officials said Tuesday. The Army is getting ready to field the new Disaster Incident Response Emergency Communications Terminal (DIRECT) tool suite to all U.S. states and territories where the National Guard operates, officials said in a release. "In a disaster situation, interoperable communications between the military, first responders and other [non-government] agencies is always critical," Maj. Gen. Timothy McKeithen, National Guard deputy director, said in the release. "Lessons learned from Hurricane Katrina [taught us that] it's all about timing — a few minutes, compared to an hour or days, in communicating is huge when it comes to your property, life and family members." The Army is projecting fielding completion for 2021. With this new tool, first responders can focus on their mission rather than having to worry about communication, officials said. The system will help with this by bridging different communication formats — radios, cell phone, internet telephone — so if one responder only has a radio and the other has a cell phone, the two will still be capable of communicating with each other between those two devices. "That interoperability will allow us to move quicker, to act quicker and get things done,” McKeithen said.